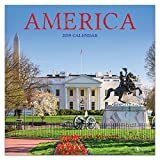 Below are some calendars with pictures of the USA, or American themes. 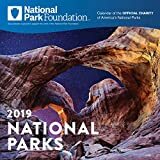 The million-copy selling calendar offers a new destination every month to stoke your wanderlust, with an itinerary-in-pictures that captures the pleasure and excitement of travel. For nature lovers, there are the lush cloud forests and volcanic hot springs of Costa Rica. For foodies, there’s fresh seafood and spaghetti ai fruitti di mare along Italy’s Amalfi Coast. And for the adventurous? How about snorkeling in Jordan, or tangoing in Buenos Aires? 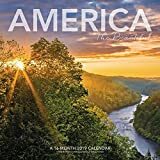 Adapted from Patricia Schultz’s #1 New York Times bestselling series, the calendar’s hundreds of rich, full-color photographs and informative text will inspire you to book a flight for yourself or the whole family. 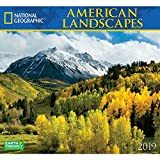 Both Bird-A-Day calendars include gorgeous photographs of common birds from professional and amateur bird photographers, and each page. features the latest range map, easy reference icons for habitat, food, nesting, and behavior, and fascinating and informative fun facts. We also share special bird and conservation events throughout the year with back-of-page content, and weekend "Get out there and go bird watching!” ideas and activities, including some of our best bird watching advice and tips from the Cornell Lab. And of course, Bird-A-Day is fully compatible with our free downloadable BIRD QR app so you can listen to HD bird sounds for each species. NEW for 2019, we've enlarged photos on the front of each species page by 50% (bird lovers LOVE great photos of birds), moving the map and species info (and added lots more!) to the back in color. 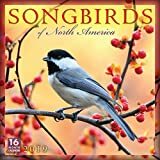 The songbirds of North America are among our most colorful and melodious species, and interest in them remains a very popular pastime. Each month information about species, habitat and behavior is provided, making it easy to birdwatch in your own backyard.